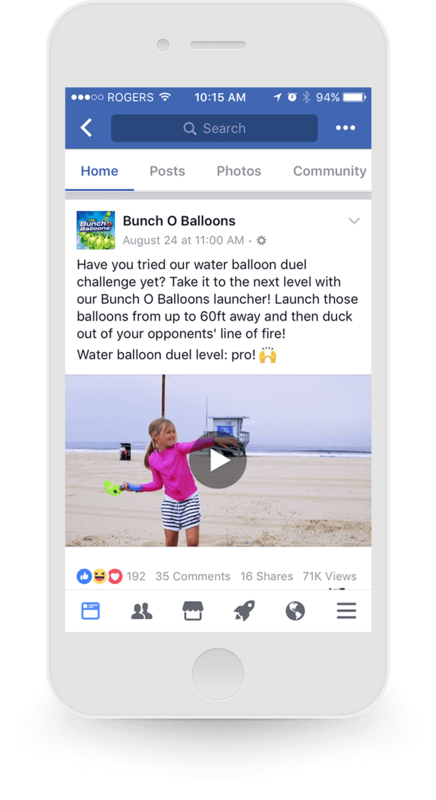 With a simple product promise of filling 100 water balloons in one minute, the history of water balloons was forever altered. 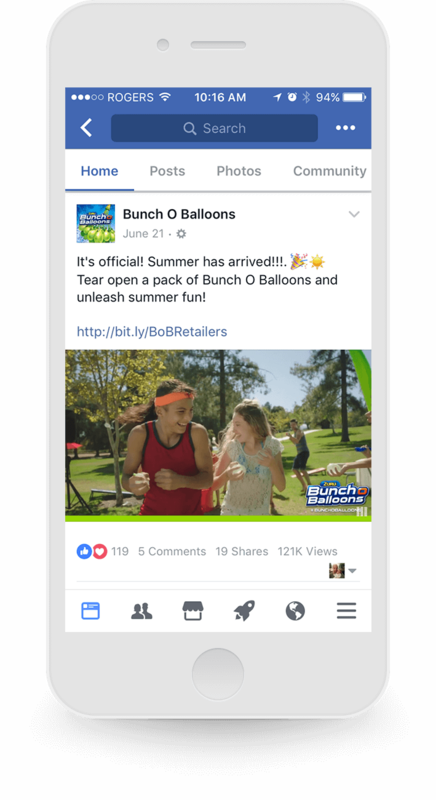 Indeed, Bunch O Balloons began with a splash, as one of the most successful Kickstarter campaigns in history, earning almost $1 million on a goal of raising $10,000. But it was not until Zuru Toys stepped in as Master Licensor that the product would sweep the globe as a summer “must-have” for kids and wanna-be kids of all ages. 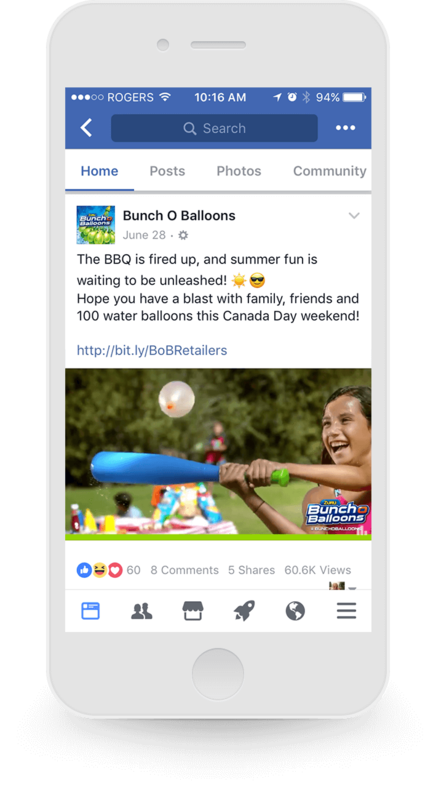 Initially, CanspanBMG was hired to handle the Canadian launch of Bunch O Balloons. We were tasked with insuring the retail sell-through of a new product in its crucial first year on the market. This meant generating awareness for a new product unknown to Canadian customers, educating the market on the revolutionary benefits of the product, and driving customers to retail for purchase. In year one, CanspanBMG successfully achieved a 96% product sell through across mass retailers, using social media, television, and in-store events to support the launch. In year two, Zuru handed over responsibilities for BoB’s global social media accounts. Working with the Zuru marketing team, CanspanBMG refined the content strategy, and created original content (video, images, memes, contests, etc.) designed around specific brand value pillars and audiences in a dozen countries. CanspanBMG also handled six-figure paid social media budgets and took over the community management on facebook and instagram. These activities continue today. 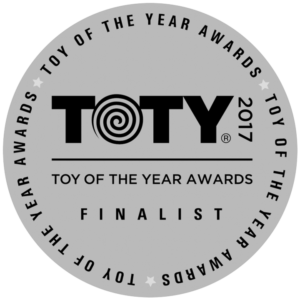 Zuru has been recognized as one of the world’s fastest growing toy companies, while Bunch O Balloons was one of 2016’s top selling toys and was recently awarded 2017 ACTIVE/OUTDOOR TOY OF THE YEAR by the Toy Industry Association.